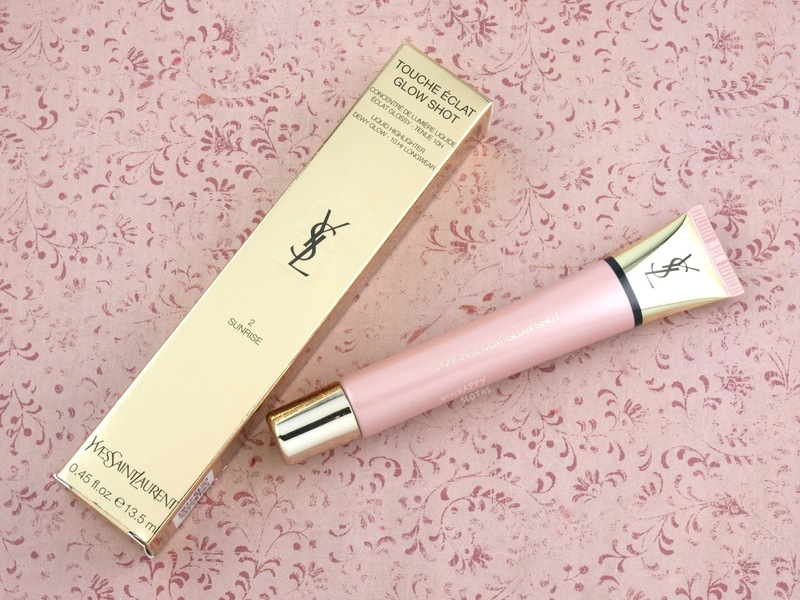 Yves Saint Laurent Touche Eclat Glow Shot Liquid Highlighter in "02 Sunrise"
The Yves Saint Laurent Touche Eclat Glow Shot comes in a simple squeeze tube with a slanted spout applicator, similar to that of a squeeze tube lipgloss. 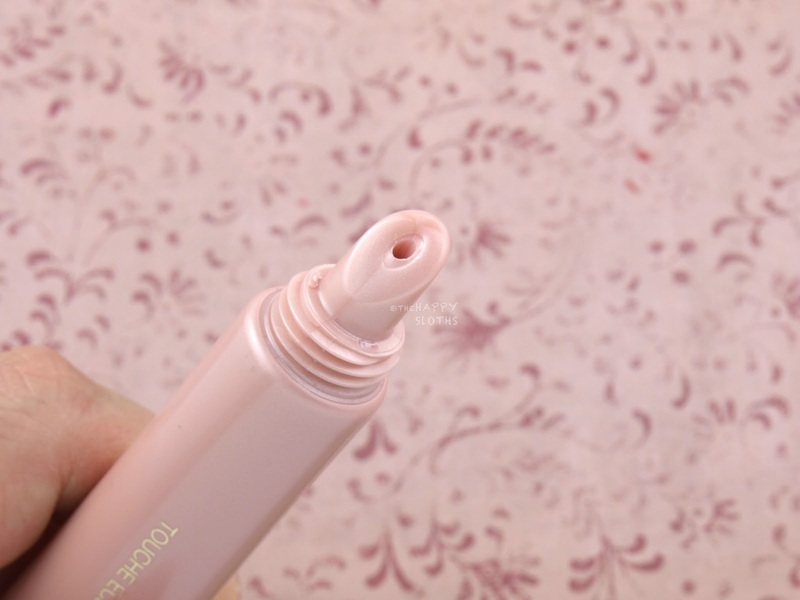 You get a whopping 13.5ml of product, which is a very generous amount considering that the original Touche Eclats have only 2.5ml of product each. 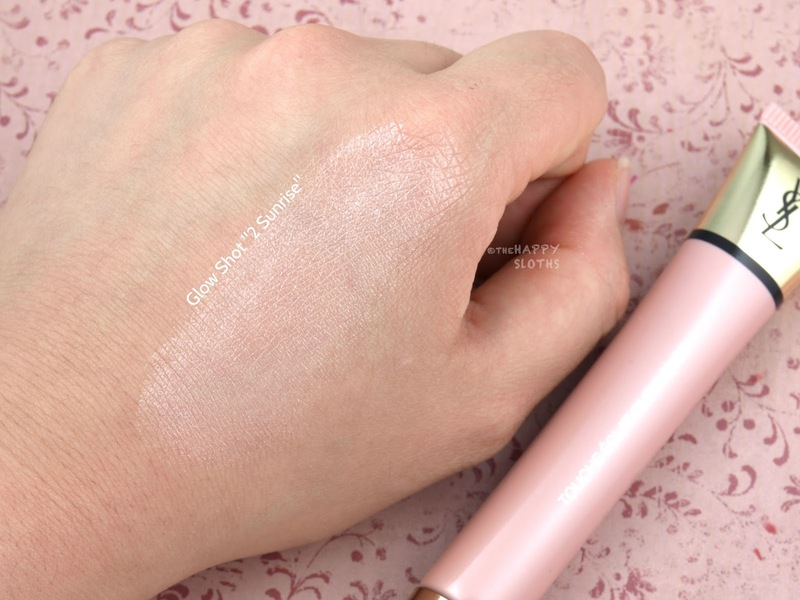 With a smooth and creamy texture, the Touche Eclat Glow Shot in "02 Sunrise" is a cool-tone pearlescent pink shimmer that's highly blendable but also easily buildable. 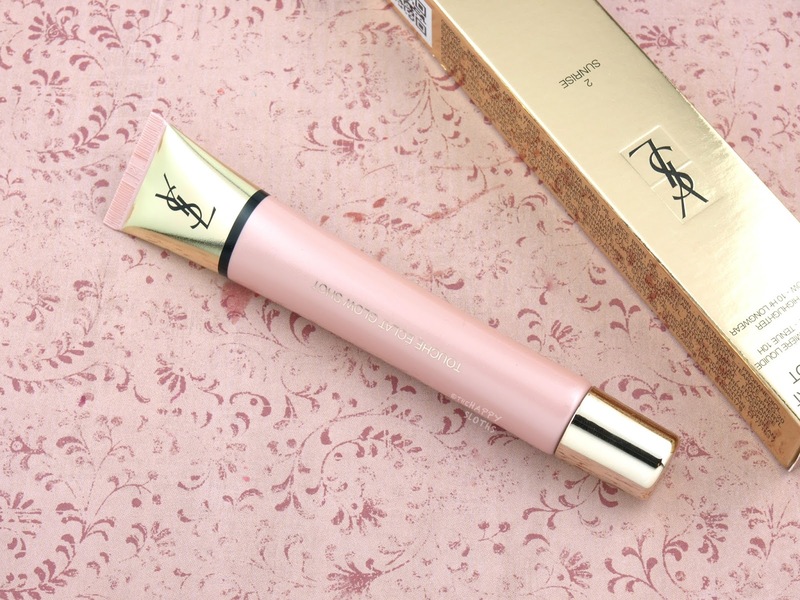 Once blended, the formulation sets very quickly to a lightweight powder finish and the highlighting effect it provides is very natural and subtle. Depending on the angle you look at "02 Sunrise", it switches between a barely there glow to a more intense but still natural sheen. Where the product falls a little short is its longevity. Although the powder finish is mostly smudge-proof, the shimmers fade and transfer pretty quickly, especially if you have oily skin. With that said, I'm quite impressed with the product, simply because how flattering it is. If you are looking for a subtle and sophisticated cream highlighter, then these are definitely worth checking out in person.